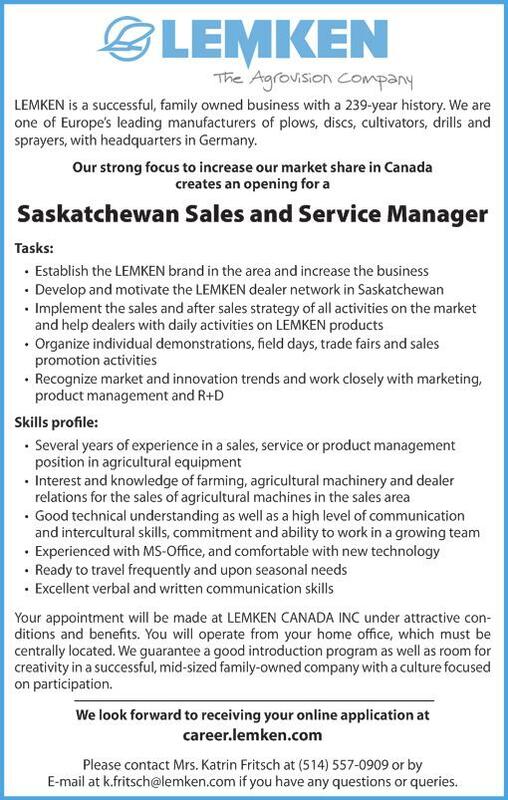 Paul McIntosh Farms Ltd., a family run grain farm in the rural area near Lac du Bonnet, MB., has 2 openings for General Farm Workers. Employment type: Permanent, full-time (40 hrs/week, more during peak season - 2 vacancies). Work location: Paul McIntosh Farms Ltd, NW 17 15 11 E, Lac du Bonnet, MB, R7E 1A0 Business address: Paul McIntosh Farms Ltd., Box 8, Lac du Bonnet, MB, R7E 1A0. Salary/benefits: $ 20/hr., 4% vacation pay. Duties include but are not limited to: Plant, fertilize, cultivate, spray, monitor, and harvest crops and grass seeds, operate maintain and repair farm machinery and equipment, help identify, treat and monitor health of crops.